I am trying to remember the last time I tried to kill or, on a less ambitious day, simply maim a hiker. Maybe it was when I placed the Burmese Tiger trap beneath the overlook where so many hikers like to picnic. Or perhaps it was the time I strung fishhooks at eye-level across that popular hiking–only trail. Or, wait, maybe it was none of those times. Maybe I’ve never done any of those things because doing those sorts of things would be…What’s the politically-correct term in this case…? Oh, yes, here it is: insane. I think that’s the term one employs to describe an individual who booby-traps trails or physically assaults mountain bikers. For anyone out there who is currently fuzzy on this point, let’s break this down-hurting other people because they choose to enjoy the outdoors in a manner that you don’t appreciate is both legally and morally a no-no. Thou shalt not maim: It’s a pretty basic rule. In fact, it’s one of the first things we teach children when they trundle off on their first day of school. I know this because there was a spate of biting and hair pulling surrounding the proper usage of the monkey bars in my kid’s kindergarten class. Of course, you kind of expect that sort of thing from children, but adults resorting to this kind of behavior? It’s disturbing. However, if you spend enough time scanning headlines, you’ll soon see that acts of sabotage aimed at hurting mountain bikers are more common that most of us would guess. The internet has been buzzing of late with news of Tineke Kraal’s recent arrest. 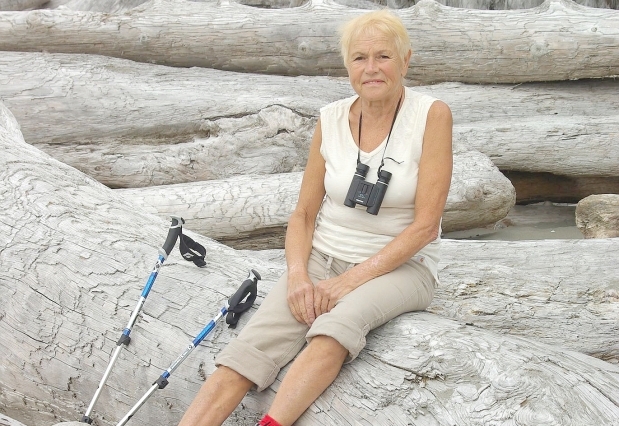 The 64-year- old North Vancouver resident was arrested on Jan. 4 by Royal Canadian Mounted Police (RCMP) as she was booby-trapping a trail on the lower reaches of Mount Fromme. The RCMP were alerted to Kraal’s actions by two mountain bikers who had used security cameras to allegedly capture Kraal on film, obstructing trails on numerous occasions during the month of December. Kraal is scheduled to appear in court on Wednesday to face charges of setting a trap and mischief to property. You can imagine why Kraal’s arrest has been big news. 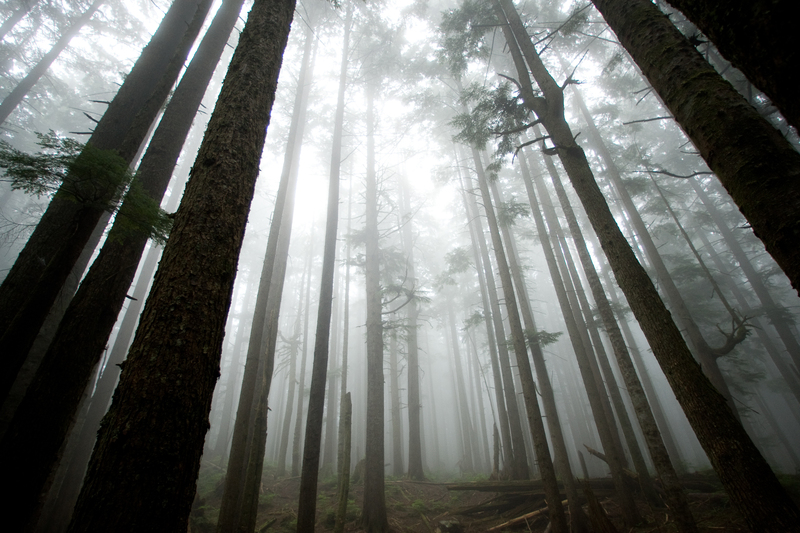 The idea of an elderly vigilante wreaking havoc under the cover of darkness in the forests of the famed North Shore makes for interesting reading. Perhaps more interesting still, however, has been the spin that Kraal’s husband, Ronald, has given the situation. His wife, suggests Ronald Kraal, is the real victim in this case. Tineke, he claims, is too nervous now to appear outside the couples’ home. She might not even show up at the hearing (her legal counsel representing her instead) because this event has been so trying. Moreover, the situation, Ronald Kraal contends, has been blown entirely out of proportion. Kraal’s contention that his wife’s acts of sabotage somehow constitute a form of self-defense strains credibility. For starters, these were trails designated as “mountain bike primary” by local authorities. Kraal had no legal or ethical right to stop riders from using a trail the local land manager had approved for mountain bike use. What’s more, footage from wildlife cameras show that Kraal consistently sabotaged trails in the early hours of the morning when there was little risk of encountering mountain bikers and, more precisely, even less risk of being observed and apprehended. 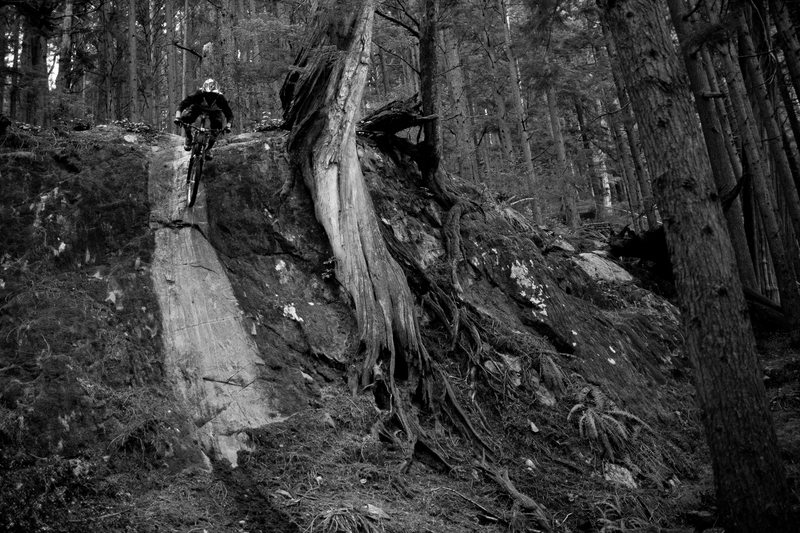 Just as the crazy level in this case was starting to wind down, word began spreading this past weekend of an unidentified elderly woman physically assaulting a mountain biker on another of Mount Fromme’s trails, on two separate occasions. The details of that case are still unfolding and it’s become apparent that there are two sides to that particular story. But the very idea of an elderly woman grappling with a mountain biker? It really doesn’t get stranger than that…except when you consider that of all places, this is happening on the North Shore. 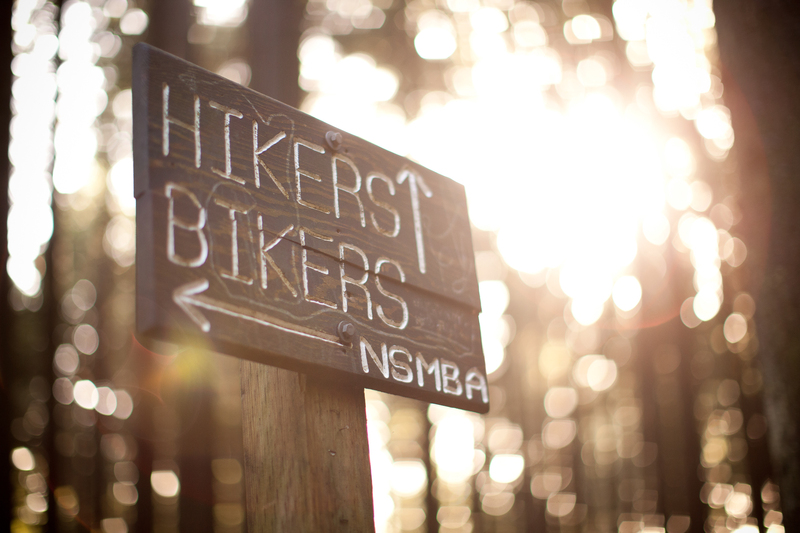 When it comes to relationships between hikers and mountain bikers, the North Shore has, for the past decade, been a case study in successful conflict resolution. 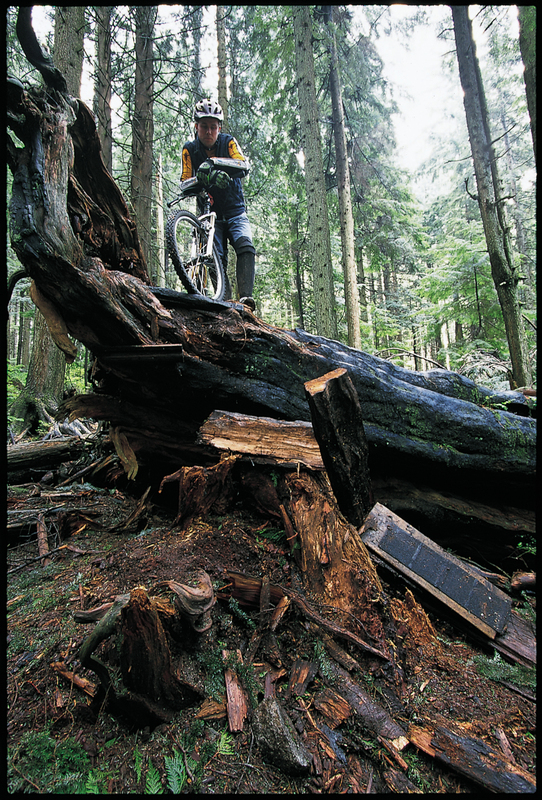 It’s been more than 10 years since the infamous ‘Chainsaw Massacre,’ when numerous trails on the North Shore were destroyed by authorities and trail access for mountain bikers was jeopardized. 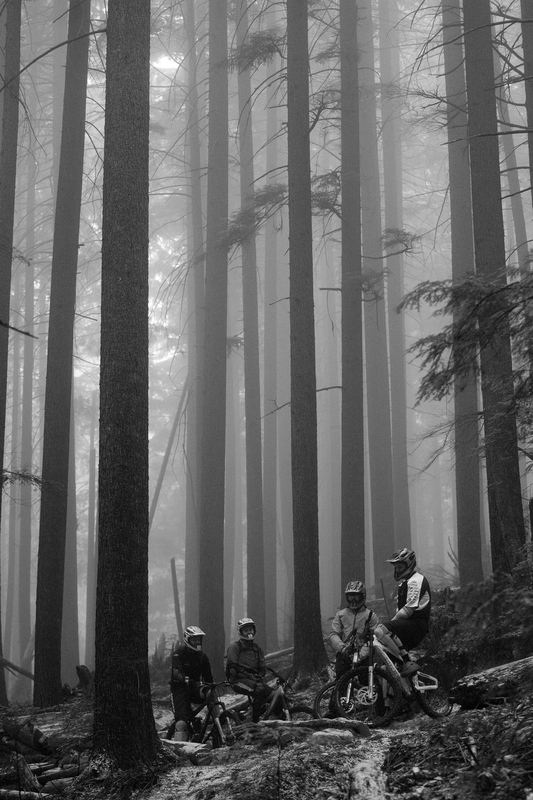 It was a bleak time, but Vancouver mountain bikers rallied to the cause, made their case and went on to work with land managers to create one of the most extensive, government-sanctioned trail systems anywhere in the world. More to the point, day-to-day relations between hikers and bikers on the Shore has, by and large, been positive since then. But what about Ronald Kraal’s assertion that we are making a mountain out of a mole hill—that his wife was merely moving around a few small branches on the trails? So it seems like this Kraal’s efforts were less about slowing mountain bikers down or deterring them from riding a trail and more about punishing them for riding a trail. 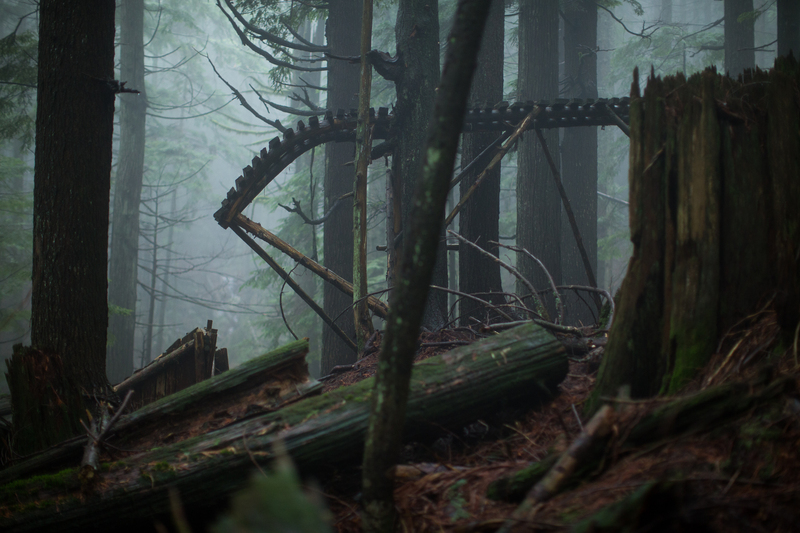 Despite the recent events in Vancouver, it’s important to note that we are not undergoing a sudden tidal wave of violence against mountain bikers. You will, in all likelihood, head out for your next ride and experience nothing more than a smile from the first hiker you meet. Having said that, it is also clear that acts of sabotage aimed at hurting mountain bikers are not quite as rare as you might guess. This past spring, mountain bikers outside of Carbondale, Colorado, found several booby traps (wooden planks embedded with nails) buried in the singletrack in the Prince Creek trail network. In 2013, riders in Frederick, Maryland, ran into similar booby traps on Department of Natural Resources lands. In 2012, psychiatrist Jackson Tyler Dempsey was arrested after planting several booby traps on singletrack around Ashland, Oregon, that injured three riders and destroyed at least one bike. In 2007, Marin County Open Space District employees strung barbed wire over a trail and buried metal fence posts at a 45-degree angle, leaving 1-to-3 feet sections projecting from the trail. After mountain bikers protested that death-by-impalement was a less than prudent means of governing public lands, the county removed the posts and admitted that, “It was not the most well-thought-out solution.” In 2004, Michael Delongchamp of Placitas, New Mexico, a 54-year-old management consultant and former elementary school principal and Peace Corps worker was arrested after booby-trapping trails in Cibola National Forest. Delongchamp strung metal cables across high-speed sections of trail and buried wooden boards embedded with nails in the trail. At least one mountain biker was injured by Delongchamp’s traps. And I’m just skimming the surface here. Similar incidents are being reported in Canada and Europe. And these are merely the cases that make headlines. I’ve personally run into a handful of booby traps while living and riding in Northern California. I never thought to report them—I simply disposed of them and continued on with my ride. I was out to enjoy the outdoors—I wasn’t aiming to re-enact an episode of “Colombo.” I know other riders who’ve done the same. Have we unwittingly covered the tracks of people who harbor a potentially dangerous grudge against mountain bikers? I’m not trying to make a bigger issue out of this than is warranted. Fear mongering serves no purpose. And there’s no denying this fact: Trail access, on the whole, is improving for mountain bikers. More of the land that was formerly off-limits to us is now becoming part of our daily rides. These are good times for mountain bikers. And yet, our very success may be at the root of some of these acts of sabotage. There is a changing of the guard in outdoor recreation. Beginning in the early `80s, groups around the country effectively persuaded land managers that mountain bikes did not belong on public trails. Part of their success lay in the fact that we mountain bikers were a young, disorganized lot. Our opponents (and I hate to frame it that way, but the label fit at the time), on the other hand, were more established, experienced and, frankly, older than us. But the tide has changed. We mountain bikers have grown wiser and more experienced. We’ve formed our own groups, we’ve attended our fair share of forums and, most importantly, we’ve proven ourselves countless times by working with local governments to build legally-sanctioned trails. 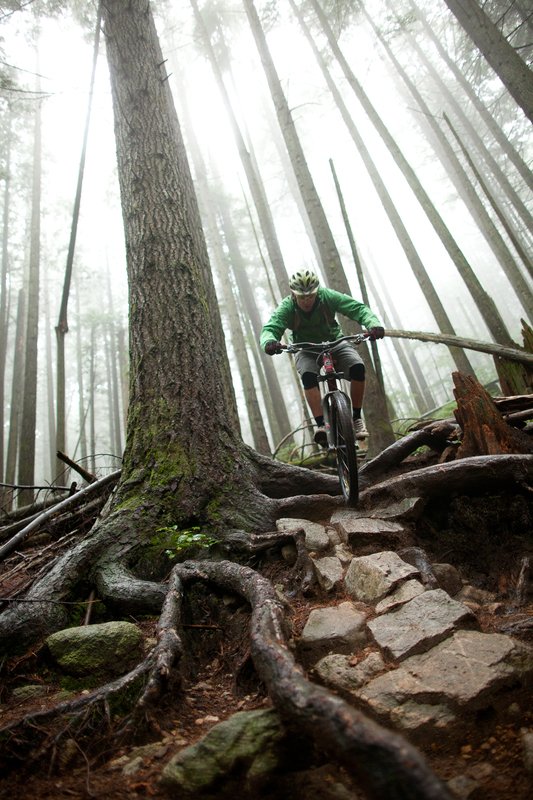 Mountain biking, to borrow and tamper with a slogan, is no longer a crime. So what happens then to the individuals who once advocated successfully for our banishment from trails? They become frustrated. They sense their loss of control. They are forced, at this point, to share trails with a group of people who they don’t feel appreciate the outdoors so much as trample it. What do frustrated people do when they feel they no longer have the ear and support of land managers? Some of them, unfortunately, act out. Just as some mountain bikers resort to building illegal trails when they feel no one will ever grant them legal access, some hikers resort to lashing out at mountain bikers. Consider the cases in Ashland, Oregon, and Placitas, New Mexico. These were not acts of vandalism perpetrated by young thugs. A psychiatrist? A former elementary school principal? In both cases the convicted saboteurs were aging hikers who felt that they had no choice but to take matters into their own hands. This most recent case involving Tineke Kraal fits the same pattern. Writers at NSMB.com recently unearthed a 2005 email from Ronald Kraal to the District of North Vancouver Mayor and Council in which Kraal notes his frustration with the city’s actions and admits that he and his wife have responded by actively sabotaging trails on their daily walks. Kraal, in his own words, has “been at war” with mountain bikers. That’s a sentence from a man who’s clearly at the end of his tether. For people operating under this level of frustration, striking out at riders by sabotaging the trails they ride might seem the only way they can have impact in a world where they are clearly losing control. Sabotage might appear the only way they can be heard. I’m not excusing these actions—booby traps are horrific and nothing shy of criminal—but it’s hard not to see a clear pattern emerging whenever trail saboteurs are convicted. In short, it’s a good news, bad news situation. As mountain bikers prove themselves responsible stewards of the outdoors, as governments grant us access to the trails formerly off limits to everyone without a walking stick, we’re likely to see more acts of sabotage. Let’s be clear: We are not experiencing a pandemic of sabotage—there’s no need to blow things out of proportion—but these events are part of a larger trend. What does justice in this case actually look like to McRae? As one of the riders who was actually affected by Kraal’s tampering with trails, you might expect him to harbor a grudge against the Kraals. That, however, is not the case. That’s the thing about crime. You can’t force someone to feel remorse for his or her actions—repentance is always in the hands of the individual who perpetrated the crime. We can’t control how Tineke Kraal deals with this issue, but we can control how we react to these cases of sabotage. We can take the higher ground on message forums and out on the trail. McRae and other rider advocates on the Shore, such as Lee Lau, have been publicly advocating that very position from the moment of Kraal’s arrest.